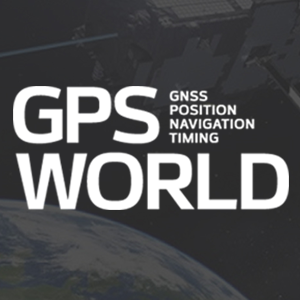 The GNSS market is slowly shifting in new directions, according to ABI Research. While the smartphone market continues to grow, new opportunities are also emerging in automotive, insurance, wearables, unmanned aerial vehicles (UAVs) and the Internet of Things (IoT). 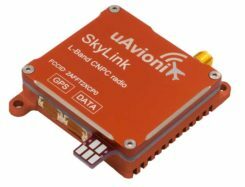 Overall, the GNSS market is forecast to continue to grow strongly, with ubiquitous location and market-specific IC design as key differentiators. In its latest competitive analysis of GNSS IC vendors, ABI Research evaluates a variety of innovation and implementation parameters to determine emerging competitive threats and technologies, the companies best positioned for success and those in danger of losing out. Unchanged for the past three years, the market’s two top IC vendors remain Qualcomm and Broadcom, soon to be acquired by Avago. Both companies continually illustrate the ability to lead the way on cutting-edge innovation, which in turn drives their dominant market-share position, ABI Research said. Beyond just GNSS, both companies also offer comprehensive location technology platforms in HULA (Broadcom) and Izat (Qualcomm), which will enable smartphone OEMs to begin offering ubiquitous location in 2016. Qualcomm’s work on LED/VLC and LTE Direct illustrates the gap that now exists between it and pure-play GNSS IC vendors. 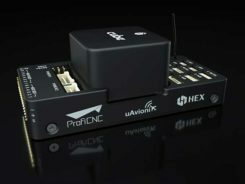 u-blox, a well-established GNSS IC company, has shown continuous growth each year by implementing new technologies and making acquisitions, culminating in its first ever third place ranking, ABI Research said. The company continues to lead the way in its core markets, while also expanding into the emerging IoT space. Ranking fifth, STMicroelectronics is seeing customers migrate to its TESEO III platform. Its modular, high-performance approach should also enable it to move beyond its traditional markets of automotive and recreational/fitness, especially as it has begun to leverage the company’s expertise in sensor fusion. As new opportunities for GNSS continue to develop in markets such as wearables, IoT, personal tracking and UAVs, there will also be a number of new or emerging companies looking to claim a share in the stakes. Analysis findings point to the Chinese regional market as one such area that has potential to demonstrate strong growth trends in future years.